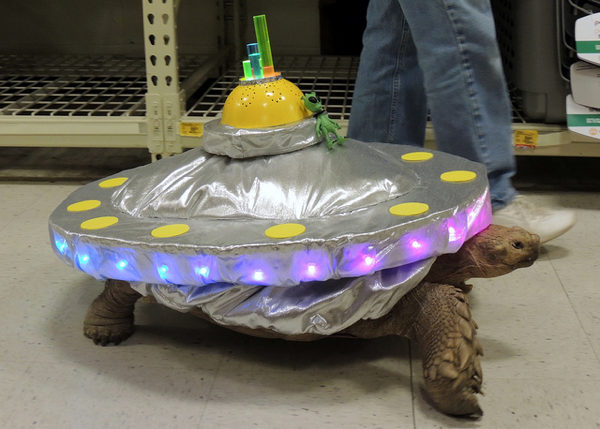 Flickr Pool Friday – Turtle’s UFO costume « Adafruit Industries – Makers, hackers, artists, designers and engineers! Greg posted up this fabulous costume for his turtle, Frankie. Don’t mean to be disrespectful, but someone has to say it. I think turtles are far more beautiful and dignified when unadorned. Don’t flame me! Peace. @poglad: Obvious troll is obvious. Anyway, cool costume and use of the led pixels.